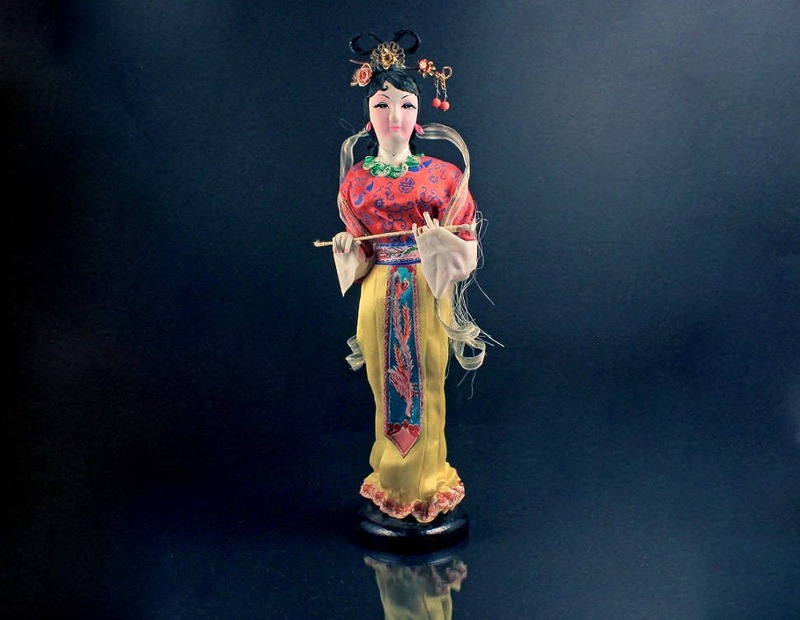 A lovely collectible Chinese cloth figurine. This small statue is on a wooden base. 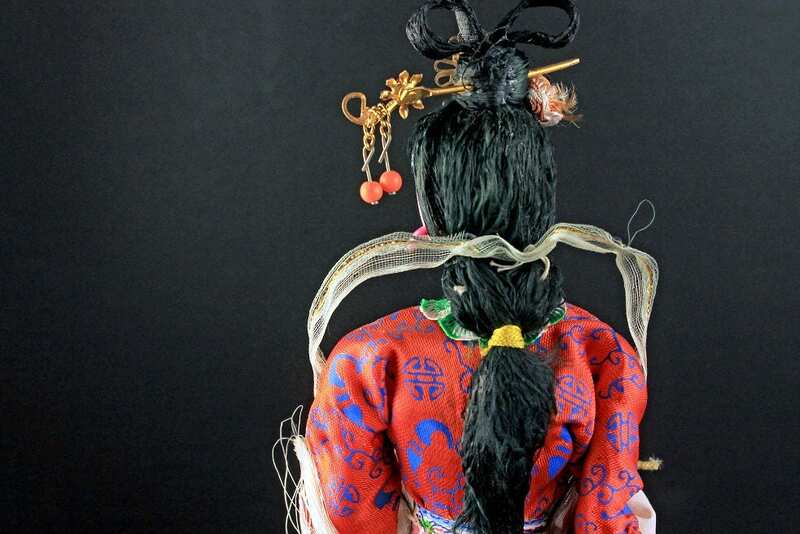 The doll has black hair with wonderful accessories. Her dress is very ornate and brightly colored. 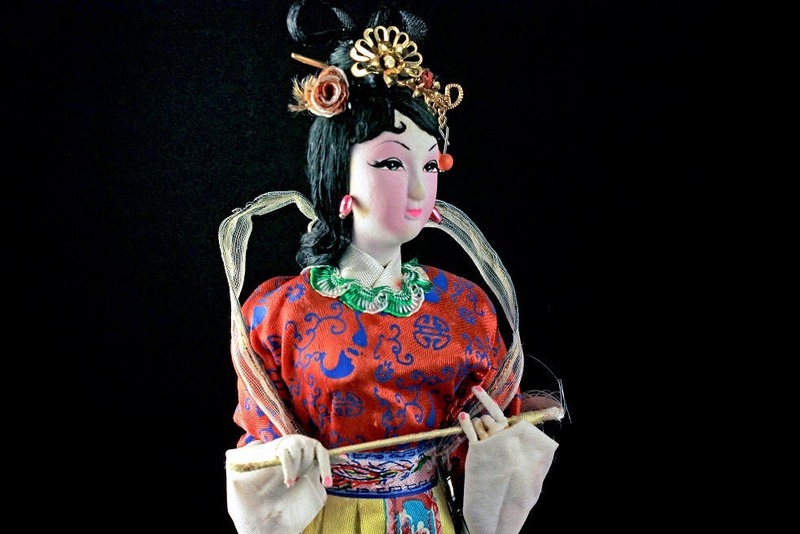 This doll is fashioned on traditional Tang Dynasty dress. This would be a great addition to any Asian collection. A great gift for the collector. 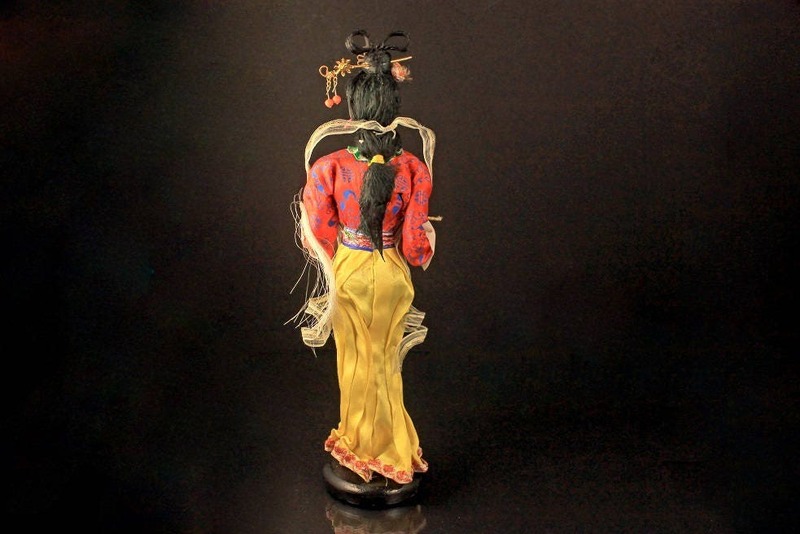 This figurine is in excellent condition. 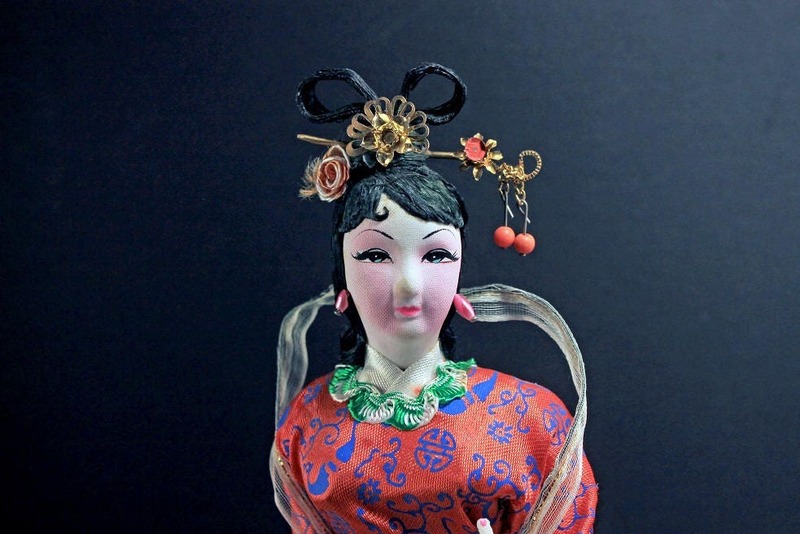 She was stored in a china cabinet and well protected over the years. What a marvelous gift she would make for a wedding, housewarming, birthday, special occasion or holiday.